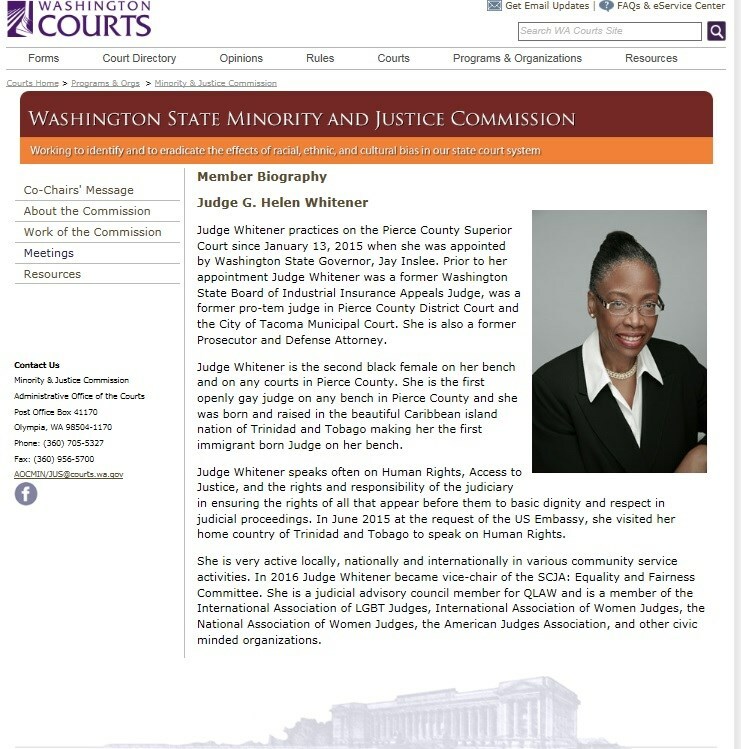 WA State Supreme Court appoints Judge Whitener to the WA State Minority & Justice Commission. The Washington State Minority & Justice Commission was established by the state Supreme Court in 1990 to determine whether racial and ethnic bias exists in the courts of Washington and to take creative steps to overcome and prevent it. The Commission grew out of a task force established in 1988 at the urging of state legislators.